I've really been into matching separates, flows dresses, and rompers lately! I have this amazing romper in a very unique print that I want to show you. That'll be posted soon! Today I'm going to show you some looks that I've been wanting and this will summarize my want list for the month of June! 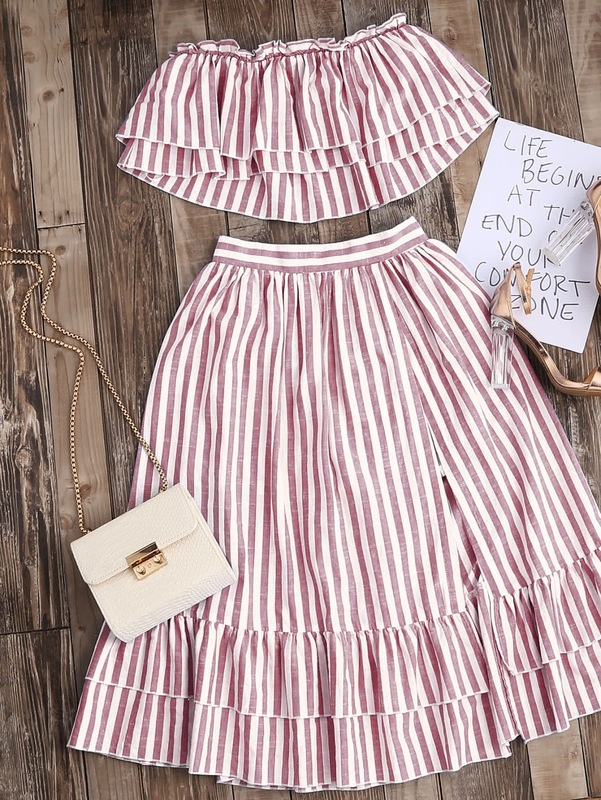 Now this list will be items that are from one website, SheIn and its because of their unbeatable prices and trendy pieces that is so unique! I want to point you in the right direction in regards to style on a budget! My obsession for matching sets is too real! 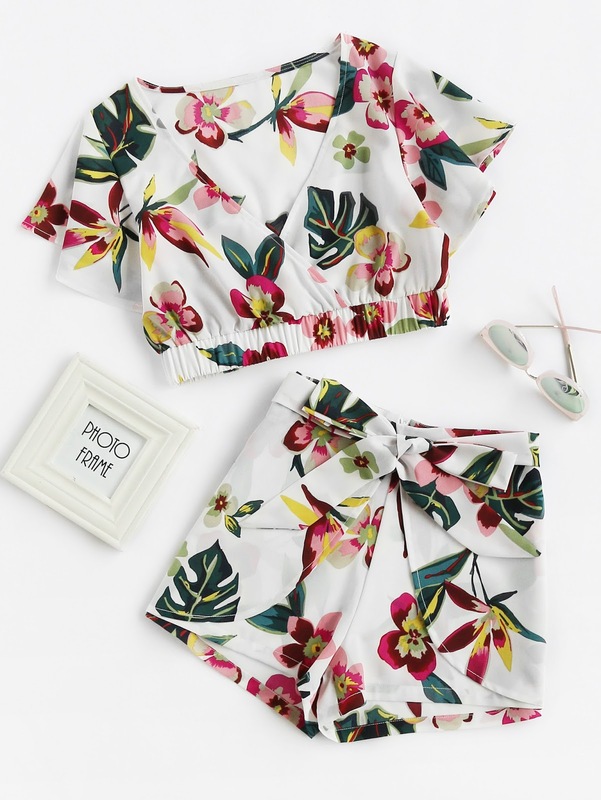 This set is perfect for getaways, pool parties, and everyday wear! These are so easy to slip on and style effortlessly because your look is pretty much complete and you look snazzy without even having to accessorize! The rule detailing in this set makes for a very chic, lady-like look. I love that it comes with a bandeau because without showing a little skin this look can quickly go from chic to a pilgrim-like look lol (Im just saying) Honestly, I don't want to look like I'm a farm girl, while theres nothing wrong with that, thats just not my thing. Shoes will play an important role in making this look fully come together. Heels or block heeled sandals will definitely make for a great compliment! Laced, striped, and backless! What a magnificent combo! I live for these twists and turns in a clothing piece. This has me written all over it lol Backless is for us brave girls who aren't afraid to show some skin but lace gives us that sweet touch while stripes elongate whatever area of the body it touches. Don't be afraid to step outside of your comfort zone. This is my fav from this wishlist! This color is an attention-getter and a confident lady like yourself will sure look good in it! This look says I'm a lady but I know how to take charge and i'm very confident in my femininity! Being a woman never felt so good in this dress. 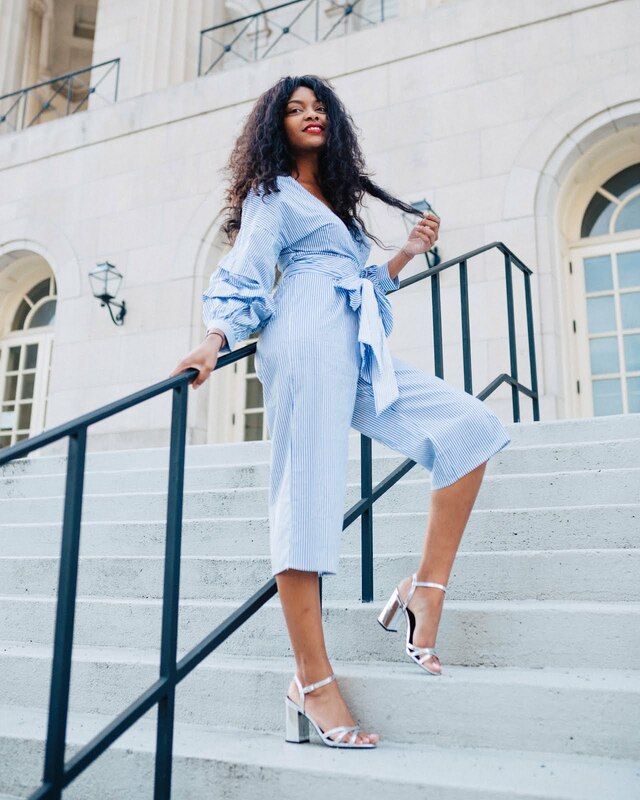 Show up to brunch, baby showers, or even to a date night in the marvelous dress, you'll be sure to slay the scene! The material and detailing of this set makes it not look so simple! This is a nice yellow color but the design is very simple but simple is definitely on trend right now. If you're into trends this works perfectly! Im not a person who follows trends but I do love this bikini set for its unique color and detail. I hope you enjoyed this post! What are some looks, items, or accessories that you've been into lately? Please comment below, I would love to know!